What is writing-intensive instruction and how does it work across the disciplines? One of the challenges in approaching this question is developing a syllabus that weaves together course content with WAC principles that improve students’ writing and facilitates their writing process. 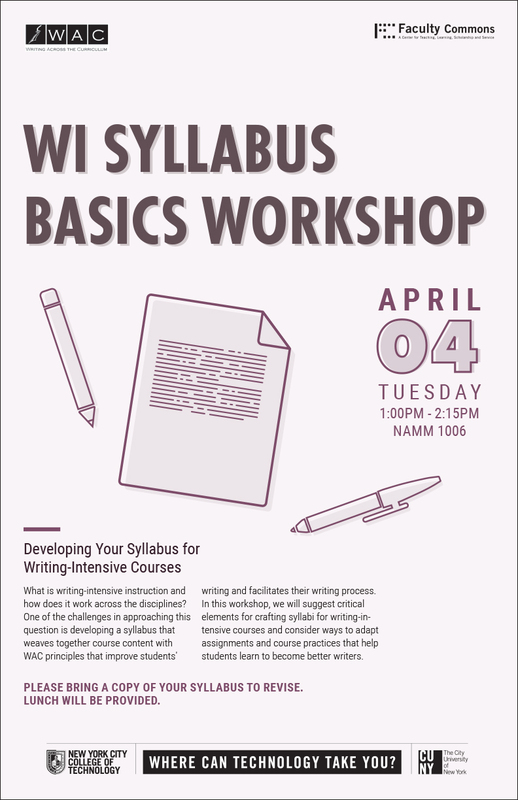 In this workshop, we will suggest critical elements for crafting syllabi for writing-intensive courses and consider ways to adapt assignments and course practices that help students learn to become better writers.